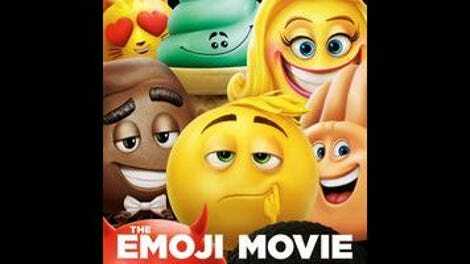 Sporting the precise same young-outsider-learns-to-accept-himself-and-becomes-a-hero plot as every other family animated film, The Emoji Movie takes place in “Textopolis,” where emojis maintain their assigned expression with no deviation, waiting to be called up for their on-screen appearance as needed. Gene can’t keep a “meh” face and screws up his first time at-bat, prompting backstabbing head boss Smiler (Maya Rudolph) to order his deletion. On the run with his annoying buddy Hi-5 (James Corden), Gene makes his way to hacker Jailbreak (Anna Faris), who’s said to be able to reprogram him so that he can lead a normal fixed-face existence. Not that that’s what’s going to happen: The words “just be yourself” are first said less than 10 minutes in, and there are lots of reiterations of the same lesson from there on. Leondis has cited Toy Story as an inspiration, but The Emoji Movie is more like a severely debased Inside Out that takes place inside of a smartphone. The “plot” is really an excuse to hop from one app to another; there are stops in the lands of Candy Crush, WeChat, Just Dance, Instagram, Spotify, and (for the kids!) Dropbox. That last one proves crucial, saving the fugitive trio from a pursuing robot. “Don’t worry, it can’t get in,” Jailbreak helpfully notes. “It’s illegal malware and this app is secure.” At the climax, a Twitter bird comes to the rescue. Perplexed as to why lesser-loved streaming channel Crackle is on the homepage of this smartphone? Sony owns it, and sticking around for the end credits confirms that many of the musicians on the pop soundtrack are signed to the corporation’s various imprints. 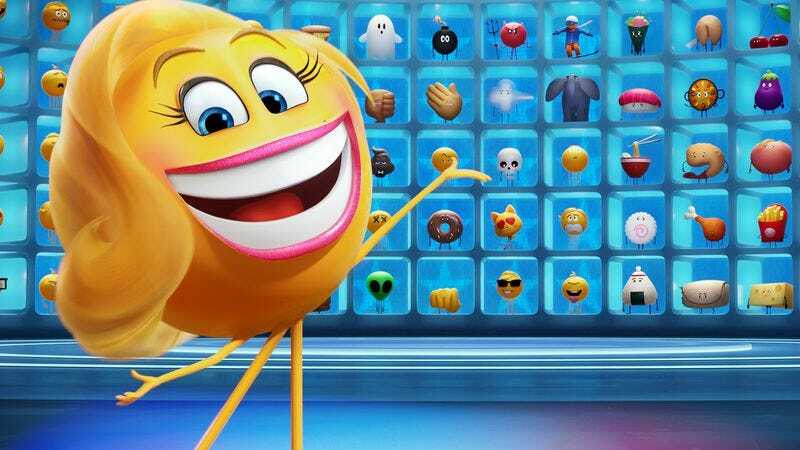 Vertically integrated product placement is to be expected, though the movie’s most egregious plausibility-breaking move is that it takes place on a Sony smartphone; these emojis are halfway between Droid-designed purgatory and their vastly more popular Apple variants. The dialogue invites viewers to marvel at all the wonderful things they can buy or subscribe to. Gene offers a dazed line reading of “This is Spotify?” as he and Jailbreak ride the sonic waves, while a transparent whale (from a whale call) soars over their heads. And yes, there’s a poop emoji voiced by Sir Patrick Stewart, in a part whose total dialogue must surely run well under two minutes. Anyone can be bought for the right price, but not for too long. There was probably never going to be a version of this film that would prove even remotely plausible as a movie someone felt passionately about making for artistic reasons; as far as expanding on smartphone-related IP, this is an even weaker starting point than Sony Animation’s recent The Angry Birds Movie. (At least that movie already had its protagonists and antagonists sorted out from the get-go.) There are some passing digs at the target audience for being too smartphone-addicted by way of a loose framing story about the boy who owns this phone, which includes a classroom scene where an exasperated teacher tries to get his young charges to turn away from their screens and connect the dots between hieroglyphics and emojis; kids these days can’t put the darn phones down and they’re getting stupid. But that’s a sop for exasperated parents that’s deeply unfelt by a movie that appears to only want teenagers plugged into their smartphones and constantly consuming.